HASTELLOY C276 include equipment components in chemical and petrochemical organic chloride processes and processes utilizing halide or acid catalysts. Other industry applications are pulp and paper , scrubbers and ducting for flue gas desulfurization, pharmaceutical and food processing equipment. 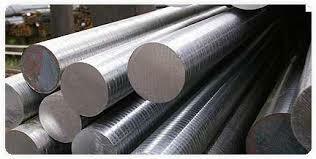 HASTELLOY C-276 is a nickel-chromium-molybdenum alloy with universal corrosion resistance unmatched by any other alloy. It has outstanding resistance to a wide variety of chemical process environments including ferric and cupric chlorides, hot contaminated mineral acids, solvents, chlorine and chlorine contaminated, dry chlorine, formic and acetic acids, acetic anhydride, sea water and brine solutions and hypochlorite and chlorine dioxide solutions. Alloy C276 also resists formation of grain boundary precipitates in the weld heat affected zone making it useful for most chemical processes in the as-welded condition.